While subsidized fuel prices have - for long - been determined by the central government, it now also wants to control prices of non-subsidized fuels by forcing local fuel retailers to request permission from the government first before being allowed to raise prices. The new regulation, which is expected to be implemented soon, would exclude aviation fuel as well as industrial fuels. Fuel retailers that will be affected include Shell, Pertamina, Total, and AKR Corporindo. Key reason behind this plan is to keep inflation under control. Indonesia's inflation rate accelerated to 3.40 percent year-on-year (y/y) in March 2018, up from 3.18 percent (y/y) in the preceding month (albeit still comfortably within the central bank's target range of 2.5 - 4.5 percent for full-year 2018). However, the central government is seemingly eager to avoid any risks ahead of the regional elections in 2018 as well as legislative and presidential elections next year. Inflationary pressures would undermine the strength of people's purchasing power, while it also puts pressure on the country's poverty rate. Weaker purchasing power would mean that it becomes even more difficult to push household consumption - which contributes around 56 percent to Indonesia's total economic growth - above the 5 percent (y/y) level. This would also mean that it becomes nearly impossible to achieve the 5.4 percent (y/y) GDP growth level that the central government set in the 2018 State Budget (a target that is most likely already too ambitious). Considering oil prices have been strengthening significantly since August 2017, non-subsidized fuel prices have been rising accordingly. Meanwhile, subsidized fuel prices have not been altered. In fact the government announced that prices of subsidized fuels and electricity will not be raised until late-2019, clearly a decision that is politically-motivated and implies more money is needed to spend on energy subsidies. It is a decision that is in stark contrast to when Indonesian President Joko Widodo just took office and scrapped a large chunk of energy subsidies (and re-directed the available funds to structural development of the nation, such as infrastructure and social development programs). However, with the upcoming elections the government is in no hurry to take unpopular decisions. 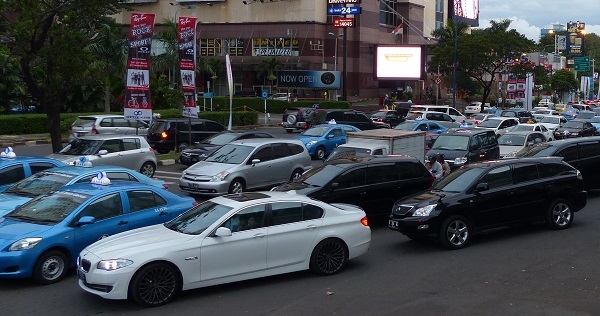 Rising prices of non-subsidized fuels have resulted in an increase in demand for subsidized fuels across Indonesia, hence there are reports that - particularly in the more remote areas - there is a shortage of subsidized gasoline (premium). The looming regulation that curbs price increases of non-subsidized fuels would have a negative impact on Indonesia's investment climate. Companies come Indonesia - or any other country - to invest (sometimes capital-intensive investments) because they are looking to generate profit. However, state intervention in the market - such as discouraging rising prices of fuels - limits their profits and increases uncertainty for investors. Royal Dutch Shell said it opposes the plan and urges the government to rethink before distorting market mechanisms. While Shell understands the government's concerns about rising inflation (stemming from higher oil prices), the oil giant said there are alternative policies to curb inflation. Wahyu Indrawanto, Retail Director of Shell Indonesia, said the company has already presented alternative policies to the Indonesian government for consideration.